Narai-juku lies on the ancient Nakasendo road between Kyoto and old Edo (present-day Tokyo), and was the largest of all the post towns along the road. Travelers would cross Torii Pass, then the largest obstacle along the way, and recuperate at Narai-juku after the ordeal. 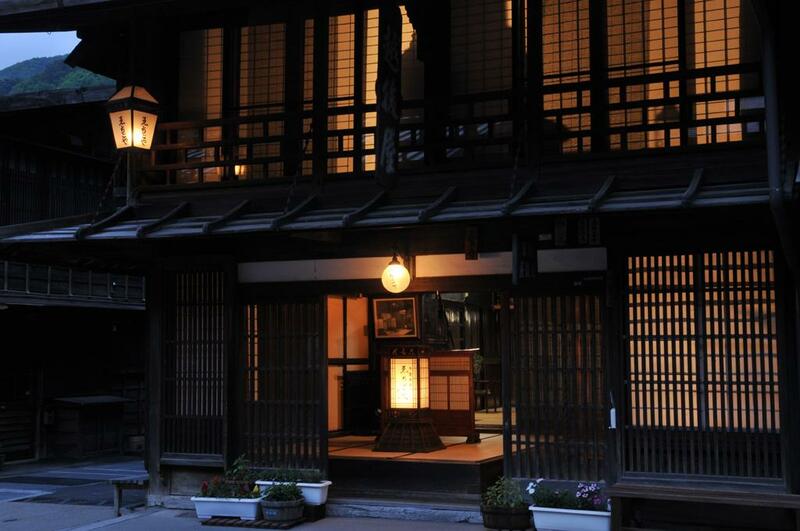 With a history of 220 years, Echigoya is the only remaining inn to have continued operating from the Edo age. An exclusive inn, only up to 2 parties, maximum 6 guests are accepted per night and are treated to the staff’s heartfelt hospitality. Authentic Edo-era construction, hence no bathing facilities, sinks or toilets in the guestrooms. Family baths available, while toilets and sinks are common-use. From Narai Station(JR Chuo Line), 10 min walk. By highway bus from Shinjuku to Kiso Fukushima, use the Narai stop, then 15 min on foot. Hyakuso herbal medicine factory tour : Tour the Factory of Natural Herbal Medicine Maker Hyakuso. Working Farm with Hands-On Activities : Fruit Picking, Farm & Cultural Activities on a Full Scale Farm -- Fun for the Whole Family.